"Badle tumne rang bahut, bahut badle nakab; fansi tak hamne tumhe la hi diya Kasab. (You changed colours, you changed masks; but in the end I brought you to the gallows)." 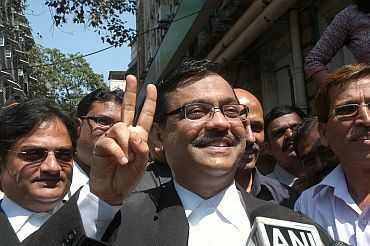 This is how Special Public Prosecutor Ujjwal Nikam responded to the confirmation of death sentence to Pakistani terrorist Ajmal Kasab in the 26/11 Mumbai terror attacks by the Bombay high court. Describing 24-year-old Kasab as "nautanki ka khalnayak" (villain of a drama) and "atank ki aandhi" (the storm of terror), Nikam said the terrorist never showed any remorse after being captured and even told a magistrate in his confessional statement that he felt sorry for arriving late at CST as there were fewer people whom he could kill. 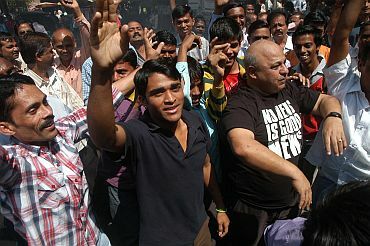 "Kasab told the magistrate that he wanted more terrorists to be ready for attacking India. He had no regrets for what he had done," Nikam, who also led the prosecution during the trial, said. "Kasab had been taught by his mentors to shift stand if caught alive to confuse the authorities. He even tried to mislead the court by claiming he was a minor, but we frustrated all his maneuvers," Nikam, 56, who has secured life sentence for 615 accused and death penalty for 35 in his career spanning over two decades, said. "He (Kasab) is a trained commando and follows Al Qaeda manual which teaches a terrorist to misguide authorities if they are arrested...this is exactly what Kasab tried to do each time he was caught in a difficult situation during the trial," Nikam said. 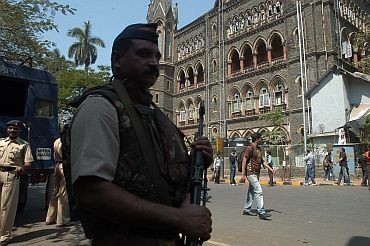 In the trial court, Kasab had taken several U-turns -- accepting his guilt and later retracting it -- while in the high court, he took everyone by surprise by seeking trial in a United States court, Nikam said. To a question, Nikam said Kasab had never expressed the desire to go to Pakistan and had been talking about facing the trial in a court outside India. Lashkar-e-Tayiba had trained him to confuse the authorities by making such demands, Nikam said. The prosecutor described as "absurd" the plea of a court in Pakistan to send Kasab for trial in that country. "How can that be done as Kasab was tried in India. Unless he serves the sentence here, the question of sending him to Pakistan does not arise," Nikam told PTI. "The 26/11 trial was a great challenge for me -- not only to establish the guilt of Kasab but also to expose the veil of LeT which had used the security apparatus of Pakistan to unleash terror in Mumbai," said Nikam. "In the last two years, I spent most of the time in Mumbai getting ready for the case. 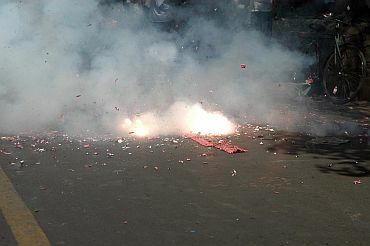 Only during weekends I returned to Jalgaon, my home town, but even there I used to prepare myself for the coming week. Everyday I got up at 4 am and prepared the day's strategy in the court", Nikam said. Asked how he felt as "the one man army" in the prosecution, Nikam said he was getting used to it. "In the trial, we have to maintain complete secrecy," said Nikam, who was assisted by a team of more than a dozen police officers.